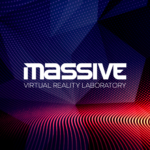 The MASSIVE VR Lab consists of seven main spaces: Experiments Waiting Area, Experimental Room, Multisensory Experimental Room, Control Room, Survey Room, Researcher’s Workspace, and Maintenance Area. Area reserved to participants, this is where they wait before taking part in an experiment. 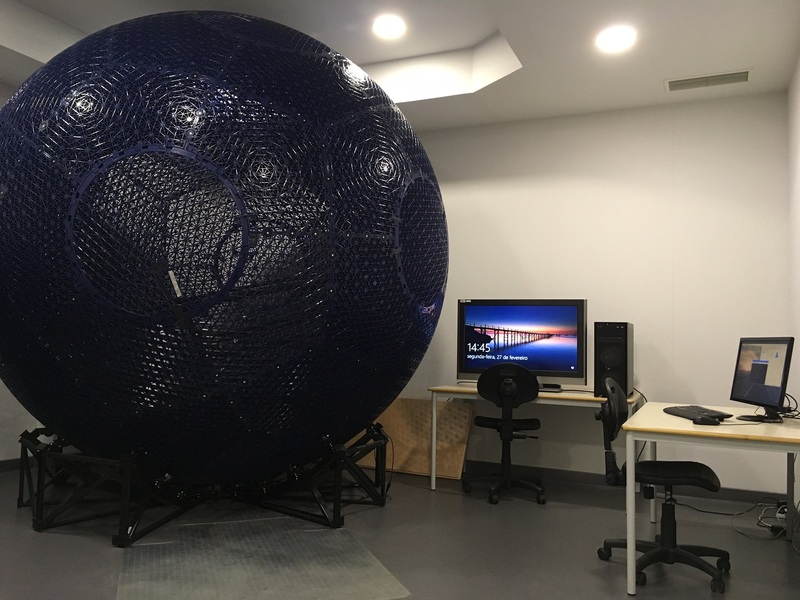 Dedicated to locomotion technologies applied to virtual reality, this space is equipped with instruments such as VirtuSphere (a hollow sphere that users can enter and that is placed on a special platform, which allows the sphere to rotate freely in any direction according to the user’s steps). 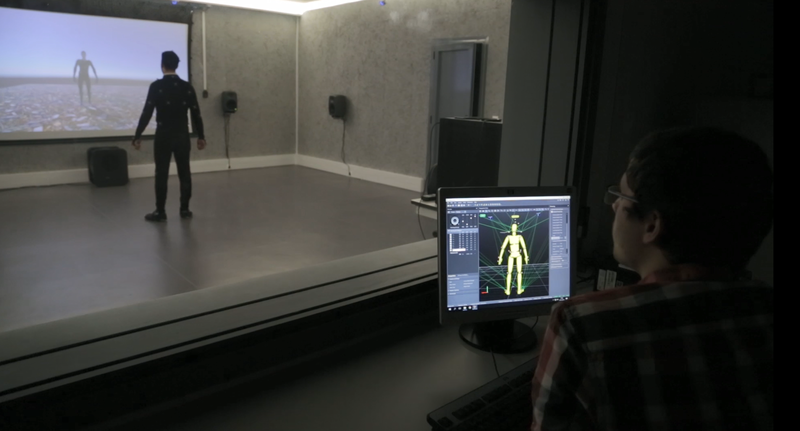 This is the main experimental room and it is equipped with several technologies that allow research on the multisensory field, although not being limited to it. 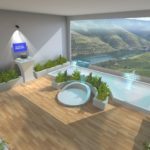 Some examples of the technologies that this room offers are a tracking system, an HVAC system to control the temperature conditions, wind simulation system and smell delivery system. This room has acoustic treatment and it can be also arranged at the will of the researcher in order to comply with his research purposes. 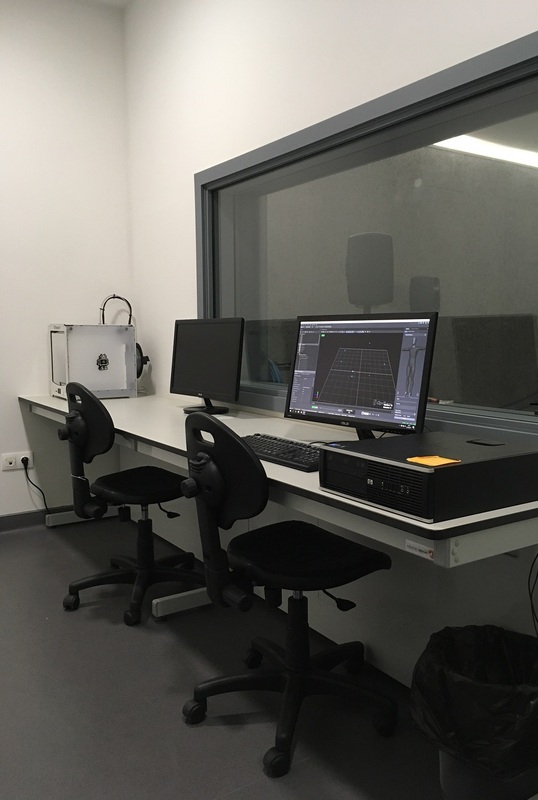 The Multisensory Experimental Room is supported by a Control Room from where researchers can monitor the ongoing experiment as well as instruct the participants if needed. 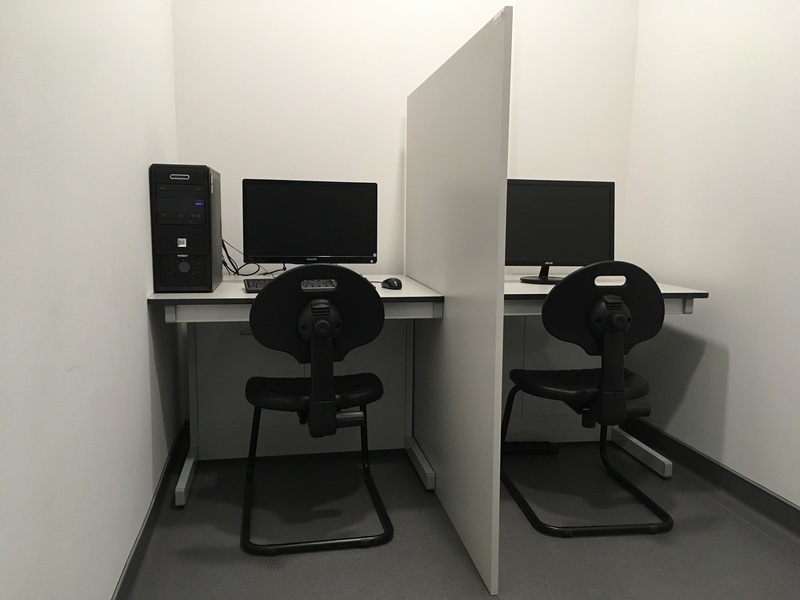 Space for monitoring the experiments conducted in the Multisensory Experimental Room. 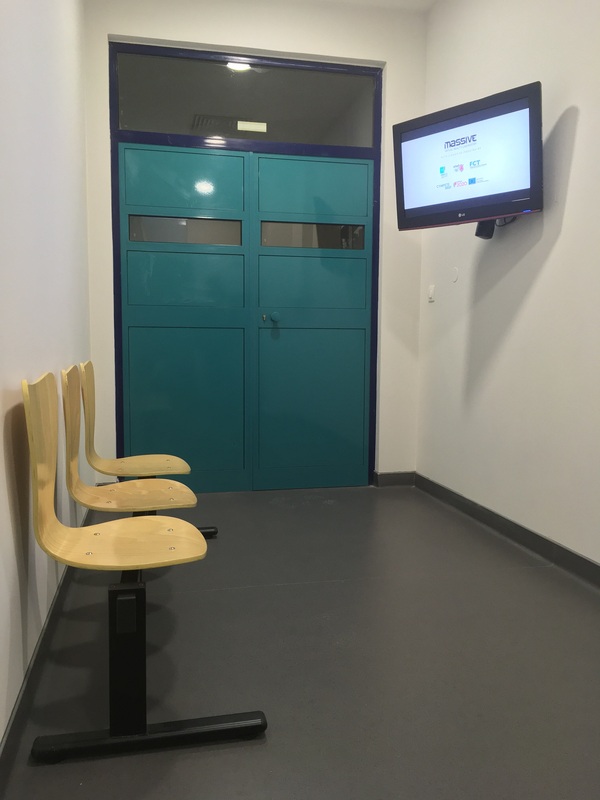 This room was designed to have participants answer questionnaires once the experiment has ended. 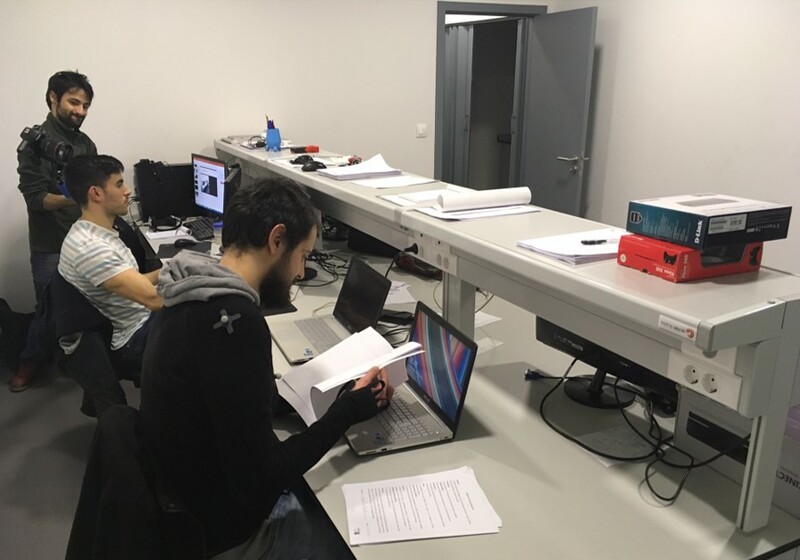 Additional studies such as eye tracking and HCI can also be conducted on the Survey Room. 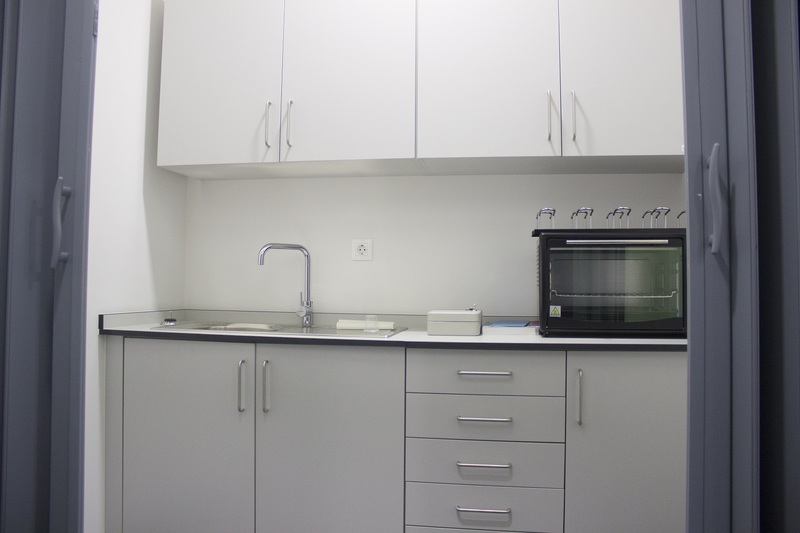 Area reserved to the Lab researchers, where they conduct all their research work when they are not involved in experimental activities. Designed for maintenance of instruments that require some special handling such as washing, heating or sterilizing.